The 3 Rs in the Exponential Age a great success! 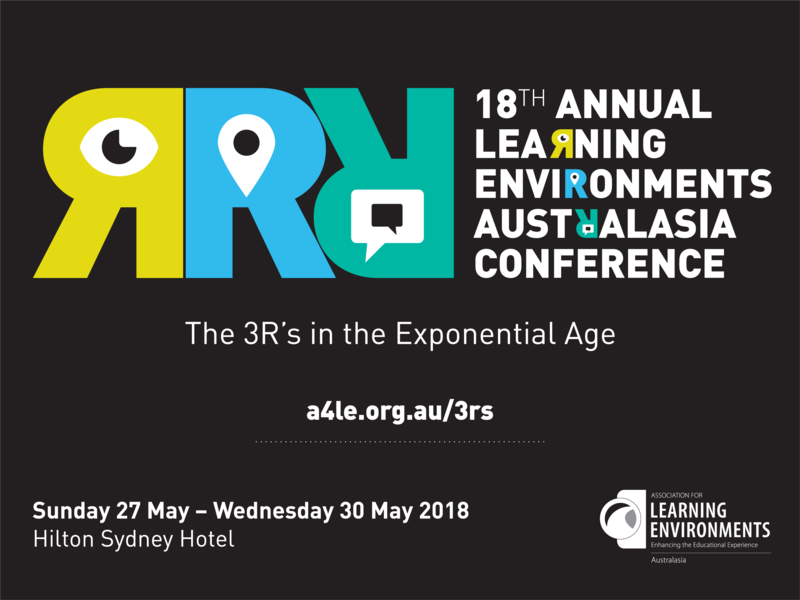 The Asia-Pacific's leading learning environments conference was held in Sydney from May 27-30, 2018. Our conferences are organised by architects and eductors for architects and educators. That's why we have led the field in exploring innovations in learning spaces for over 18 years. You can read through the conference program here, or visit the official registration site for more information about the speakers, workshops and site tours that were featured. The essence of community is the idea of ‘together’. Learning Environments Australasia is a unique community, bringing together a range of professionals interesting in shaping learning environments, looking toward the horizon and sharing our collective knowledge and experience. We live in a world of exponential change. With this in mind, the 2018 conference sought to rethink the 3Rs for the exponential age. Once they were readin’, ritin’ and ‘rithmetic, in the second decade of the 21st Century they are reimagined as Reflection, Relevance and Revolution. Thank you for joining us in Sydney. Now - let’s change the world, together!